Terracotta pots are the best. They’re super inexpensive. Easily painted and personalized (like here). 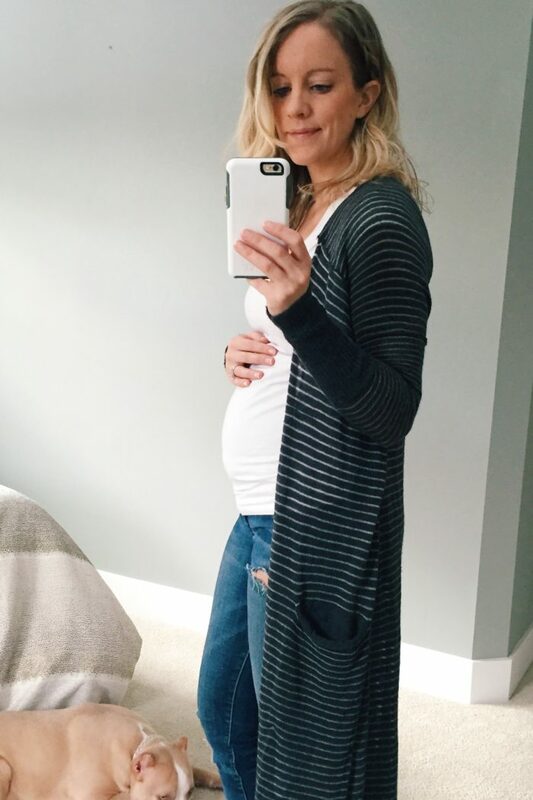 And I adore how they’re super on trend right now! I even used them as a tablescape for a home I helped style! Terracotta pots have a lot of pros. 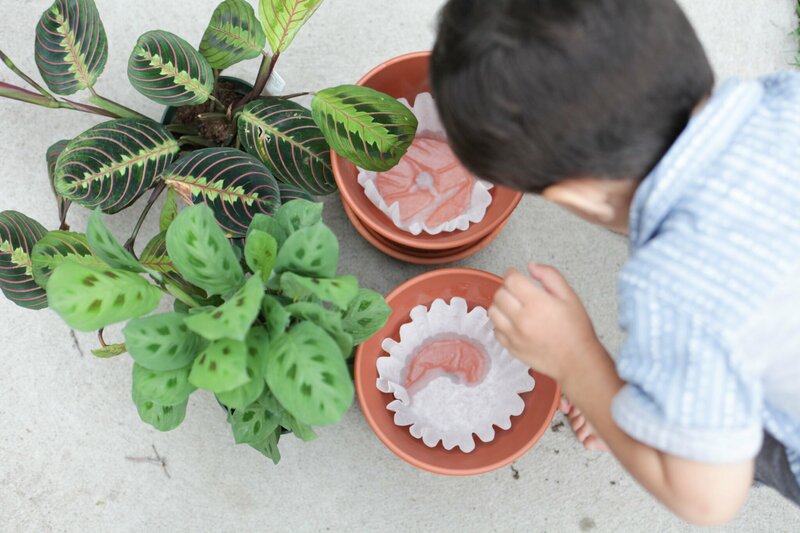 They’re for plants because they’re porous and allow air and water to flow through them. This helps prevent root rot or soil disease which could kill your plants. They can be used both indoors and outdoor – great for a place like MN where I live! Some issues that come with using terracotta pots are they can crack from the cold (or being mishandled). 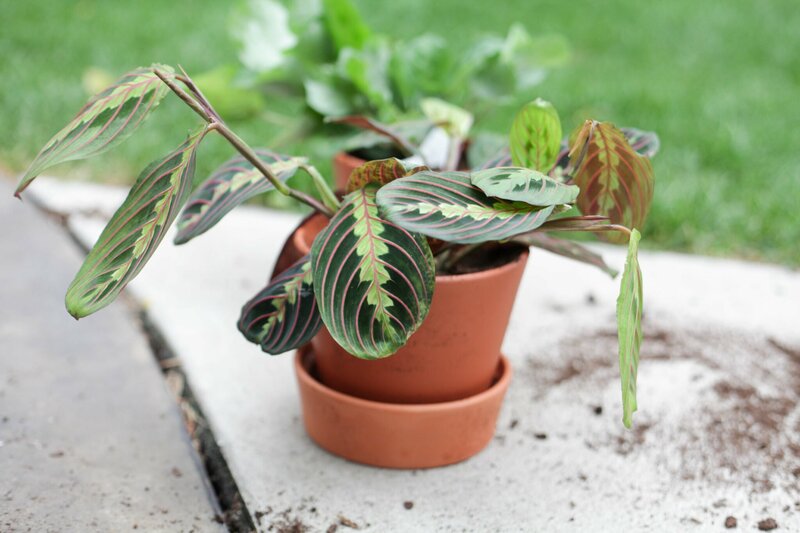 They can require more frequent watering than in other non – porous pots. 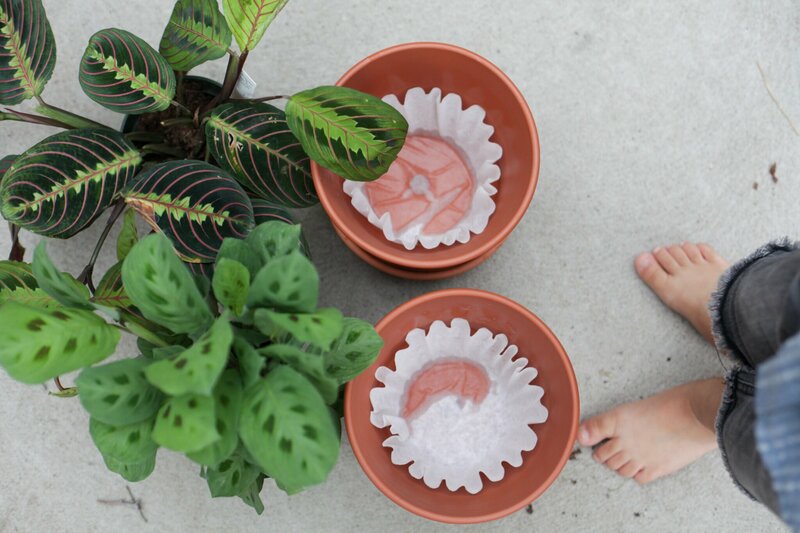 I’ve been using terracotta pots for years and have learned a few tricks on how to best use them. 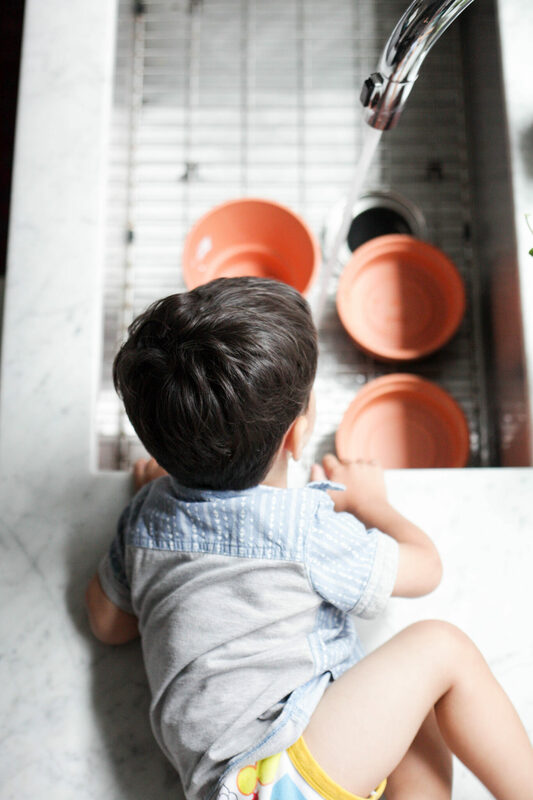 Do these 3 tricks for your next plant baby! Tip 1: Soak your pot! 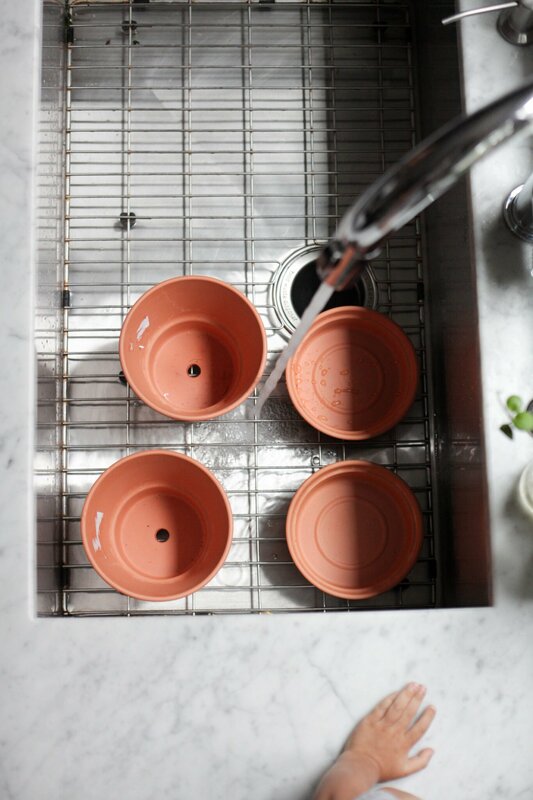 The number one rule of thumb when using terracotta pots is to soak them prior to use them! 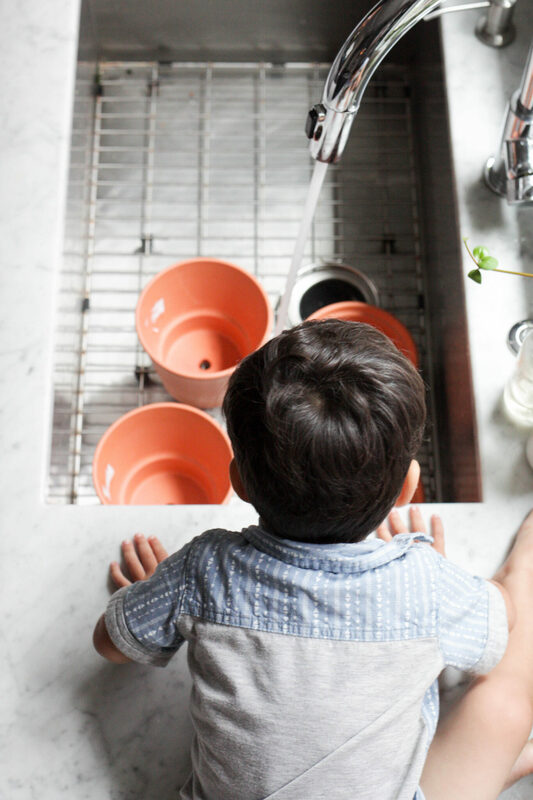 Fill up a sink and soak them overnight or at least for 30 minutes prior to potting them. 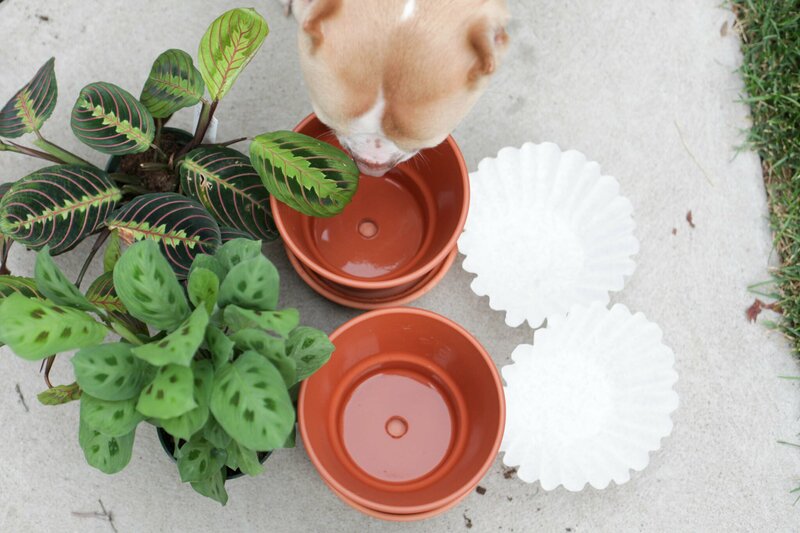 These pots are made out of clay this will prevent the pot from stealing of your plants precious water. 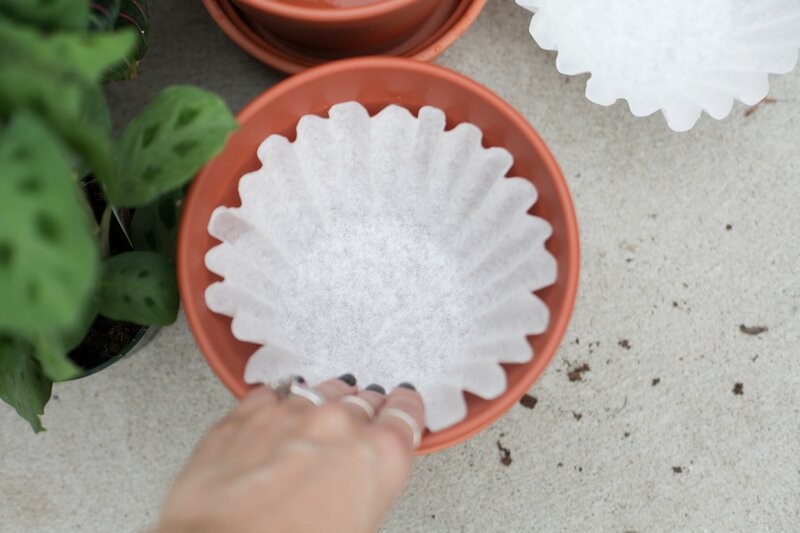 Tip 2: Use a coffee filter. 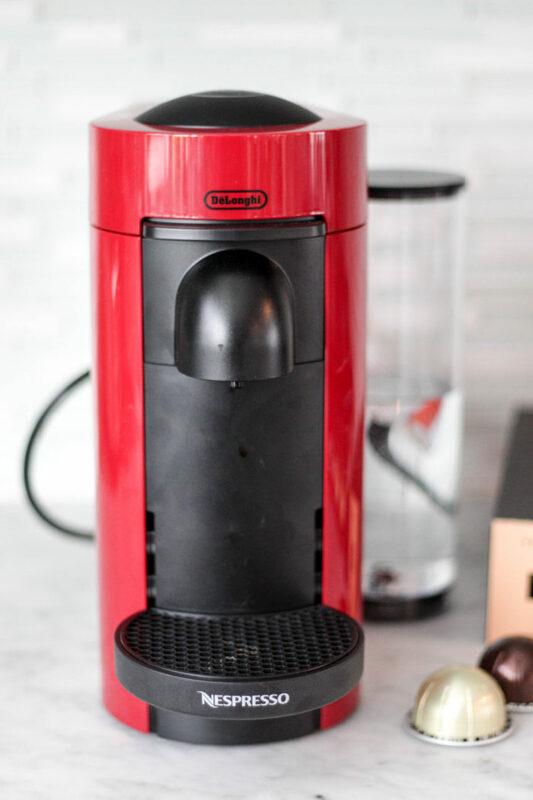 No, this tip isn’t just because I love my coffee. 😉 Terracotta pots typically have drainage holes in the bottom. 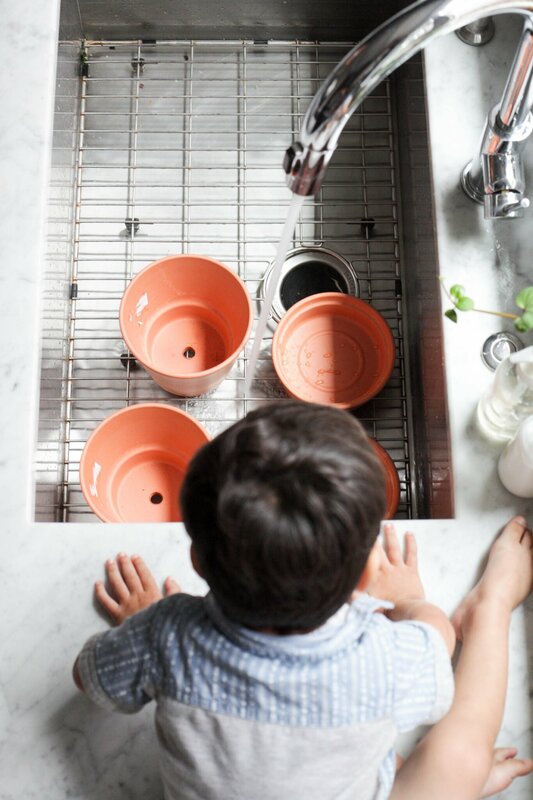 By putting a filter in the pot you’ll keep the soil in the pot but allow the water to still drain. Don’t worry if your pot is still wet from soaking it. (Roy was highly concerned about that when I put the coffee filter in haha!) Simply press it into the bottom and against the sides. When you add soil try to keep the soil from falling in between the filter and the pot but it’s ok if a little bit slips in). 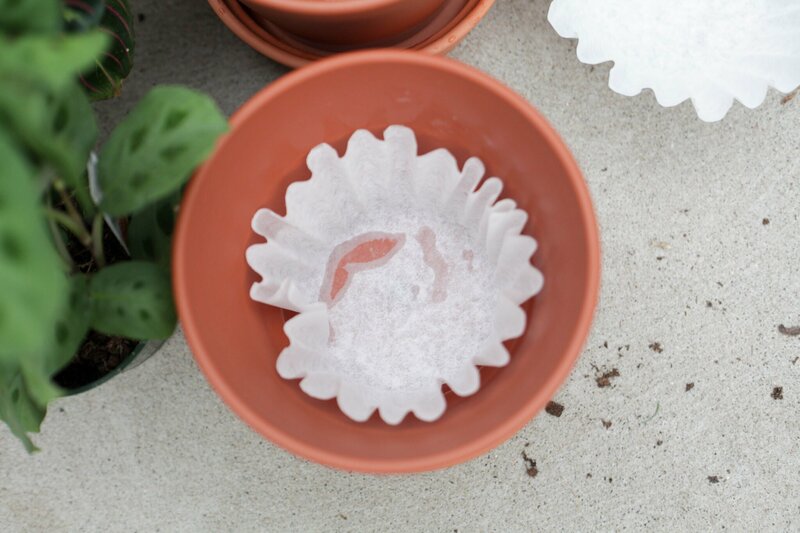 Tip 3: Use a plastic saucer for under your pot. Because the saucer that you get with your pot is also made out of clay, there’s a good chance it will ruin your floor or wood table/dresser/etc. when you water it. Save your home and put something under neath your pot! It doesn’t necessarily need to be plastic but something that will go in between your pot and carpet or wood. And that’s it! 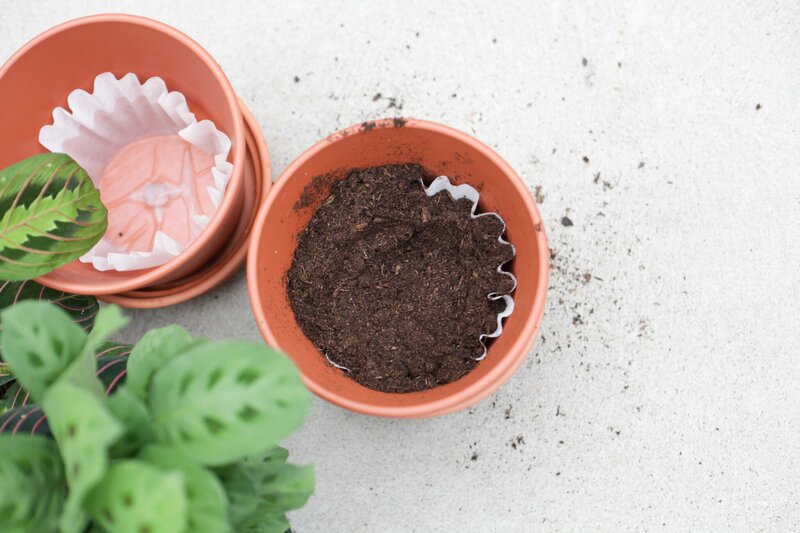 Super simple things that will make a huge difference the next time you use a terracotta pot. What’s your favorite kind of plant to have in your house?